INDUSTRY.co.id - Jakarta- President Joko Widodo who attended the opening ceremony of the Muslim Fashion Festival (Muffest) held at JCC on Thursday (19/2018) indicates that the fashion industry is appreciated by the Indonesian government. Over time, now the era of modernization and globalization began to enter Indonesia and make Indonesia's growth rate is increasing in the fashion world. With the growing creative industry, President Jokowi hopes that Indonesia and millenial generation will not forget the procedures of Indonesian religion, culture and tradition. 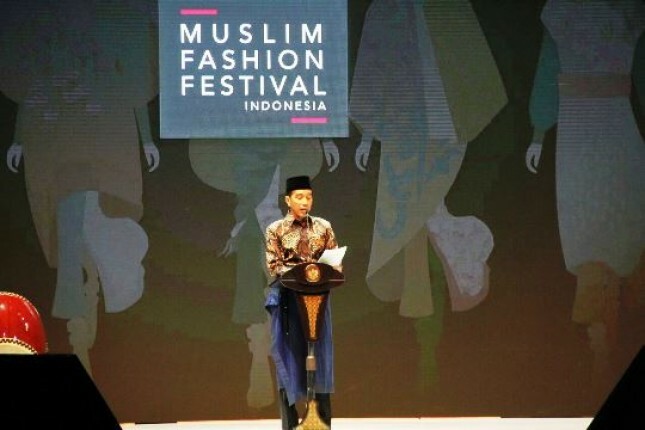 "With modernization, I hope to not forget the religion, the tradition that we have to the root of Indonesian culture," said President Jokowi at the opening of Muslim Fashion Festival (Muffest). According to President Jokowi, Creativity industry has a very important role for Indonesia. "The role of creative industry is very important, therefore, the creative name in the future will have a bright future in the lifestyle era," explained President Jokowi. The Muslim Fashion Festival (Muffest) held at the Jakarta Convention Center (JCC), runs for four days from 19 to 22 April 2018.